My name is Paweł Szczerkowski - try to pronounce it, that can be fun! 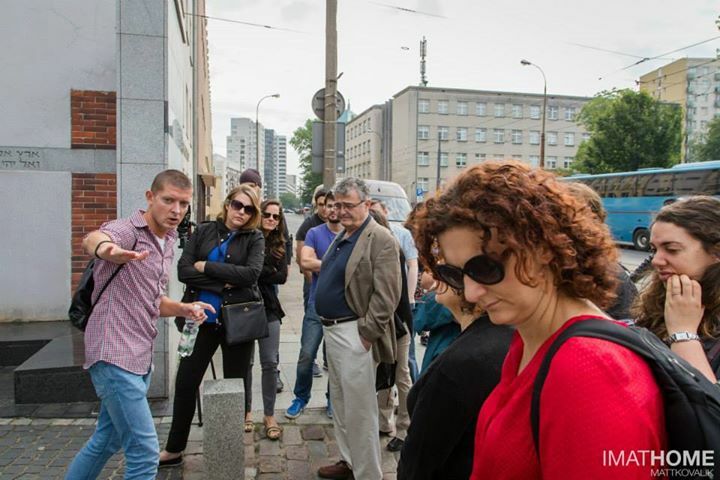 We can practice on the tour I`m a government licensed Warsaw tour guide, something that in fact still surprises me. I was born and raised in a small town nearby Warsaw, came to Warsaw to study and… didn`t like it at all! My first impression was really bad. I studied international relations at the Warsaw University and started my career as a journalist. For a few years I worked at the foreign desk in „Gazeta Wyborcza”, the biggest daily in Poland, equivalent to the „New York Times”. I have always been crazy about world affairs and other cultures. And here I was: a small-town boy, who just came to a big city, is travelling abroad as a correspondent, covering elections in Italy, visits of the pope, EU summits, terrorist attacks… I couldn`t dream for better, could I? Learning other cities and countries, helped me also realize what makes my city special and unique. And I started slowly changing my mind about it… It came simultaneously with a rapid transformation that Warsaw has been experiencing since the collapse of communism. Because of this experience, I not only focus on history and heritage on my tours. For me, they are only the first step to understand Warsaw. I like my guests to feel the pulse of the city. I put a lot of emphasis on a local life, on what`s going on here – the spirit, the lifestyle, the character of the place. I try to explain Poland and Warsaw in a wider context of Europe, of the world, but also of culture and economy. To connect the pieces. And my tours are always very personal. They are made up not only of the city and stories, but of myself – my passions, my intellectual curiosity, my journalistic experience. I think the latter is what shaped me in particular. Guiding has much to do with journalism. Because it`s about always asking „why”, about collecting the facts, connecting the pieces, reflecting on what you see and hear around you… and then you just have to find a way to make an interesting story out of it.